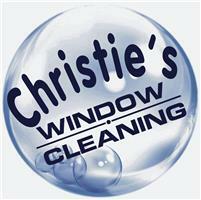 Christies Window Cleaning Ltd - Cleaning Services based in Christchurch, Dorset. Christie's window cleaning is a family run business providing a professional cleaning service from a one off clean to a regular cycle, commercial or domestic based in Christchurch, also covering surrounding areas. The company was founded in 2003 and we currently have five vans on the road. Our mission is to provide a professional, reliable and friendly service to our customers across Christchurch and the New Forest. Rest assured any member of the team working on your property has been fully trained and is fully insured. We give you an advanced date of your next clean, which is 95% accurate, subject to torrential rain on the day or some unforeseen problem. We pride ourselves on our window cleaning (we clean the frames not just the panes), Using pure water leaving a streak and spot free finish. All work carries our 100% satisfaction guarantee.